ellehermansen: Boston Pizza Goes Gluten-Free! 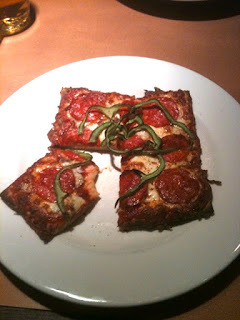 I couldn't believe it when I laid eyes on the new Boston Pizza menu - that was changed just yesterday! I am waiting for my individually-sized pepperoni and mushroom pizza to come in from the kitchen as I write this. I am so excited! I will let you know how it tastes, but here is a picture for proof! Awesome! UPDATE: I had a hard time placing any pictures in using iblogger, so I loaded a couple up from my iphone. The pizza was amazing! I bit into it and said "This tastes like REAL pizza!". I am in love with the new menu. 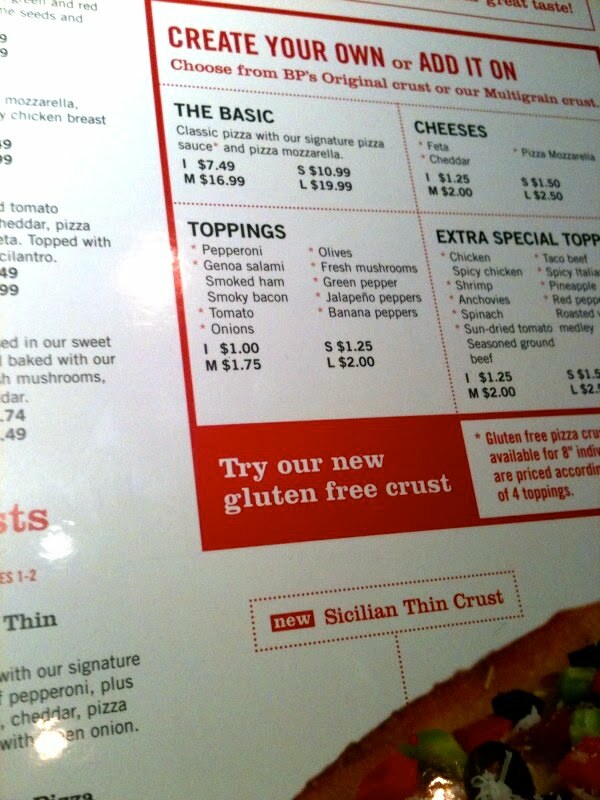 All my fellow Gluten-Free friends, go check it out! You won't be disappointed!